Enhance the look of door panel and your door pins with these Billet Door Pin Bezels for your 2005-2014 Ford Mustang. No cheap "billet" overlays here, these pieces are fully machined from 6061 Billet Aluminum to replace the stock bezels as if they were made by Ford. These are the first and only replacement door pin bezels for the 2005 and new Mustang. Available in designer which has a grove machined into the face or regular which is smooth. 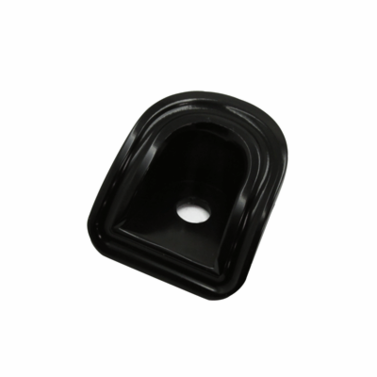 Snap in fit on 2005-2009 and 2010-2014 Ford Mustangs, NO SILICONE or GLUE needed like some competitors knock off version. CNC Machined from 6061 Billet Aluminum for a perfect fit including the Diamond cutter final pass giving it the best finish possible. Installs in 5 minutes or less. No hardware required for install just snaps in place of the factory door pin bezel. 2005 2006 2007 2008 2009 2010 2011 2012 2013 2014 V8 V6 4.6L 4.0L 5.0L 3V 4V GT500 GT Bullitt Shelby Mustang Steeda Roush & Saleen Vehicles. No one else can stack up to the bold clean styling of our aftermarket Billet dress ups, Street Strip & Racing Suspension & Performance Parts for your late model American Muscle Car! 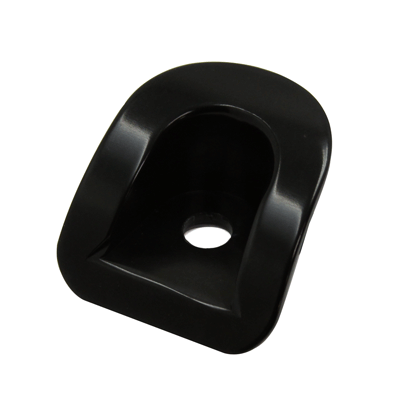 Enhance the look of door panel and your door pins with these Billet Door Pin Bezels for your 2005-2014 Ford Mustang. No cheap "billet" overlays here, these pieces are fully machined from 6061 Billet Aluminum to replace the stock bezels as if they were made by Ford. These are the first and only replacement door pin bezels for the 2005 and new Mustang. Available in designer which has a grove machined into the face or regular which is smooth. Snap in fit on 2005-2009 and 2010-2014 Ford Mustangs, NO SILICONE or GLUE needed like some competitors knock off version. CNC Machined from 6061 Billet Aluminum for a perfect fit including the Diamond cutter final pass giving it the best finish possible. 2005 2006 2007 2008 2009 2010 2011 2012 2013 2014 V8 V6 4.6L 4.0L 5.0L 3V 4V GT500 GT Bullitt Shelby Mustang Steeda Roush & Saleen Vehicles.